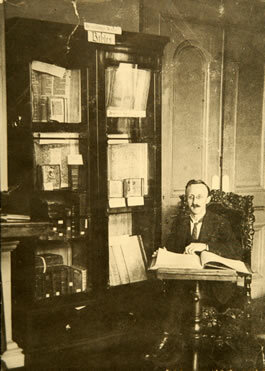 Until 1907 there was an Honorary Librarian and a Sub-Librarian. The Sub-Librarian had previously been an attendant who doubled as a Museum caretaker. The duties of the Sub-Librarian included unlocking and locking the Institution each day, cleaning, seeing to the fires, recording books taken out by those not entitled to the privilege of holding a library key and collecting subscriptions. In 1903 William Murray Tuke, who had been a long term Honorary Librarian and President of the Institution, died, and a paid librarian was appointed for the first time, JW Huck. In 1926 the Librarian, Fisher, went on holiday and never returned. It was found that several of the Library's valuable books had gone missing at this time and "Fisher's list" was compiled, listing the missing books. Some of them later turned up in second hand book shops.